High level football transfers are notoriously difficult deals to thrash out at the best of times. Transfers are hugely complicated transactions that are usually completed after lengthy negotiations, tonnes of paperwork and miles of red tape – though the sensible clubs tend to set the wheels in motion in ample time to get their business done. However, quite often the transfer procrastinators who dither around until Deadline Day, end up being beaten by the clock. While last-minute transfer trolley-dashes are a fun watch for football fans, clubs invariably run into all kinds of difficulties when trying to close deals on the last day of the transfer window. On Deadline Day, late in the summer of 2008, Brazilian wonderkid Robinho became the first high-profile signing made by a “financially enhanced” Manchester City. The club’s coffers had been swelled to bursting with petrodollars from Abu Dhabi and City’s new owners were keen to flex their considerable muscle in the transfer market. Robinho had looked certain to sign for Premier League rivals Chelsea before Manchester City stepped into to woo the Brazilian with large sacks of money and the promise of more sacks of money to come. “Yeah, Manchester, sorry!” answered Robinho. The attacker scored 13 minutes into his Premier League debut, which was coincidentally against Chelsea, though City eventually lost 3-1 to the Blues. Robinho would score just 14 Premier League in total for City before moving to back to his old club Santos on loan in 2010. Wasn’t worth the hassle really was it? In a bizarre tale of technology gone awry, David de Gea was denied a move to Real Madrid on the last day of the 2015 summer transfer window. The Madrid-born Spanish international looked set to return to the city of his birth in a deal that would see Keylor Navas move to Manchester United in a player plus cash arrangement. Time was running out to finalise the transfer, though with agreements made and paperwork signed, ticked and stamped, de Gea’s move still looked 99.99% complete. However, the white plastic, beeping box plugged into the wall of Ed Woodward’s office had different ideas. 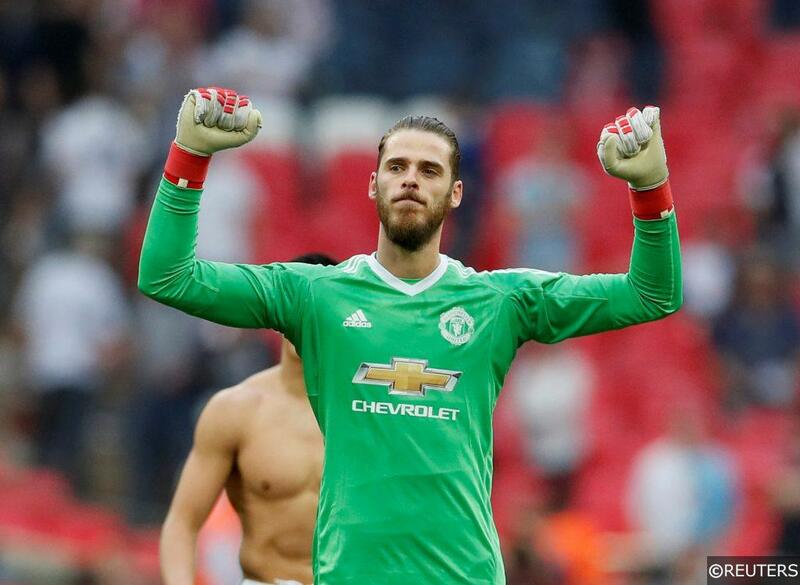 The Manchester United fax machine has since been pedestalised by United fans for its role in keeping David de Gea at the club. The details of what actually transpired that evening have yet to properly bubble to the surface, though Real Madrid claim United delayed sending the relevant paperwork until 11:59 on Deadline Day, leaving the Spaniards insufficient time to register de Gea with the Liga de Fútbol. In response, United shrugged their shoulders, placing the blame squarely at the feet of an inanimate object (no, it’s not Marouane Fellaini this time). Yep, it’s these two clubs – again. In the hunt for some late defensive reinforcements in the summer of 2014, Louis van Gaal identified Real Madrid’s Portuguese left-back Fabio Coentrao as an ideal signing. The Deadline Day switch looked set in stone until some last-minute haggling between the clubs scuppered the deal. Coentrao had left Real Madrid to join up with the Portuguese national team, confident that his move to Manchester United had been sewn up. When he found out about the breakdown in negotiations, he apparently broke down himself – openly crying in front of his befuddled team mates. Remarkably Coentrao is still on the playing staff at Real Madrid, though he looks set to play his 3rd successive season away from the club on loan. The story of Peter Odemwingie’s cross-country Deadline Day drive will be a part of Premier League transfer folklore for eternity. The Nigerian striker, desperate to manufacture a move from West Brom to QPR, took matters into his own hands after the clubs dragged their feet in the summer of 2013. The striker hopped in his car and made a beeline for QPR’s training ground, hoping that somehow, his arrival would help to push through a deal that was considered dead in the water by the clubs involved. Hilariously, Sky Sports News was there to film the action and they even grabbed an interview with a sheepish looking Odemwingie who talked about starting a “new chapter” in his life through his car window. After doing a few laps of the carpark and honking his horn in front of the locked training ground gates, Odemwingie disappeared off into the night. Despite apologising to the club, he never played for WBA again. Thomas Lemar’s Arsenal near miss is a great example of football’s “transfer domino effect” in action. On Deadline Day in 2017, Arsenal’s talismanic Chilean, Alexis Sanchez, looked on the cusp of joining Pep Guardiola’s Manchester City revolution. Understandably, Arsene Wenger was reluctant to let one of his star players leave without finding a suitable replacement and Arsenal were reportedly ready to pay up to £90m for Monaco’s Thomas Lemar. Unfortunately, with Lemar’s future so fascinatingly intertwined with Sanchez’, the complications proved too much to overcome and time ran out for all the pieces of the deals to fall into place. After the transfer collapsed, rumours began to surface hinting that Lemar just didn’t fancy a move to the Emirates. Monaco later refuted those claims however, saying that they had already lost too much talent that summer and decided against sanctioning the move. Lemar moved to Atletico Madrid this summer for around £52m. Categories: Blog, Football, and Premier League. Tags: Deadline Day, Premier League, and transfer news. Team Tag: arsenal, Chelsea, manchester united, real madrid, and WBA. League: England Premier League. Sports: Football.